AML Triton - Handle, Laser, 35 key, 802.11b/g/n. Interface cables and charging cradle sold separately. Triton Charging Cradle (Part# ACC-7525). 4-Position Handheld Charger� (Part# ACC-5935). Battery, 2600 mAh, 19.2 watt-hours. 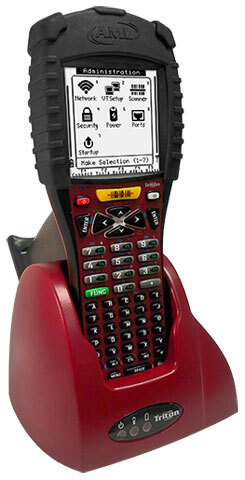 4-Position Handheld Charger - Charge up to four compatible AML handhelds at one time, with one device. 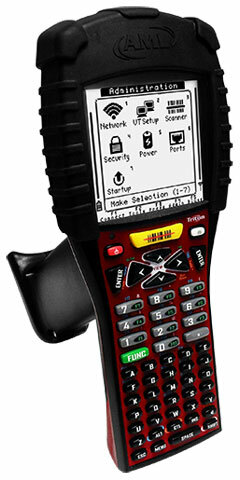 The AML M7501-0111-00 is also known as American Microsystems	AML-M7501011100	or M7501011100	.